This Saturday morning, I went to the Rappahannock River in northern Virginia to photograph the sunrise and the large number of Great Blue Herons that frequent the river. Unfortunately, it was overcast from an early morning fog; therefore, the sunrise was poor and not photography worthy. 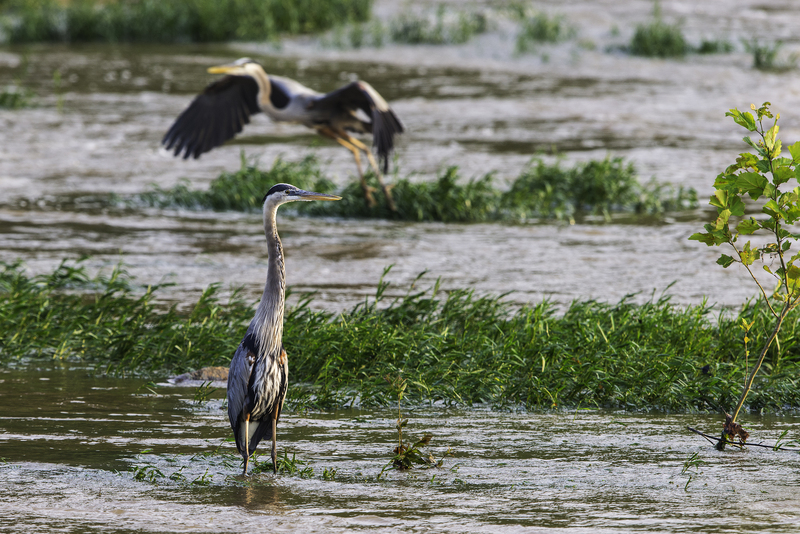 The river was flowing rapidly from recent rain storms, and there were many Great Blue Herons working the shoreline, looking for fish. As I was photographing the herons from the top of a very large bolder alongside the river, a Tree Swallow fledgling flew into a nearby tree. As you can see from the opening image, the fledgling was adorable, and I refocused my attention from the herons to the swallow. 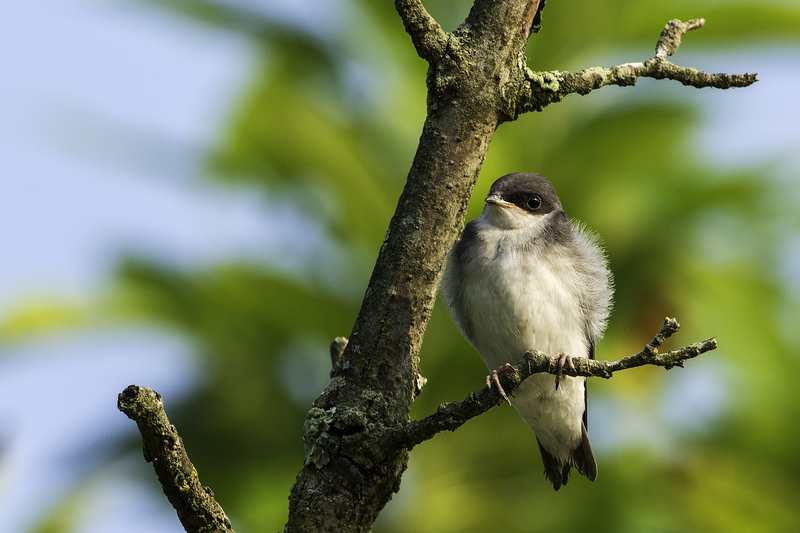 Tree Swallows are small, fast flying birds with iridescent greenish blue feathers and white underparts, sometimes with a faint brown band across their breast. 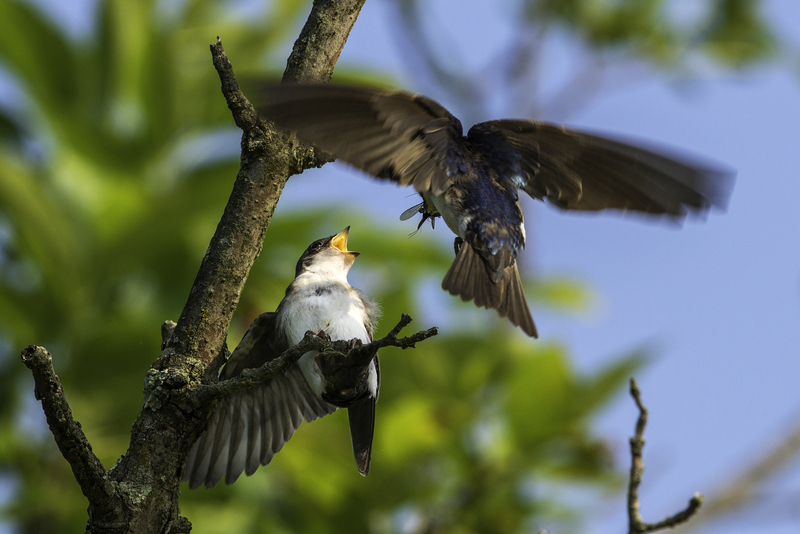 Juvenile swallows, as in the above image, have sooty gray backs without any greenish blue feathers, and their underparts are a dull, brownish white. 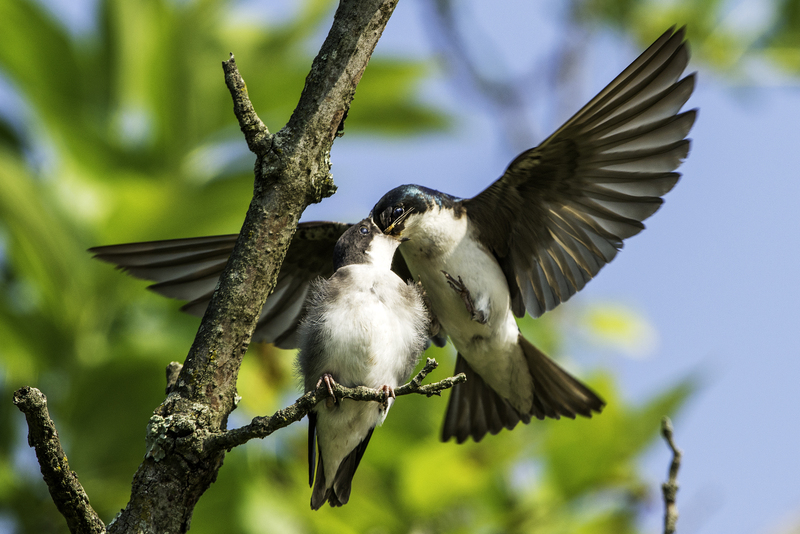 Generally, Tree Swallows live in open areas near fields and water, such as marshes and shorelines. They feed on insects and berries. Shortly after the juvenile swallow perched on the nearby tree, I noticed a couple of adult Tree Swallows flying closely around the area. Then, the fledgling opened its beak wanting to be fed, and the adults took turns feeding the juvenile swallow. Below, one of the adults landed above the fledgling with an insect. 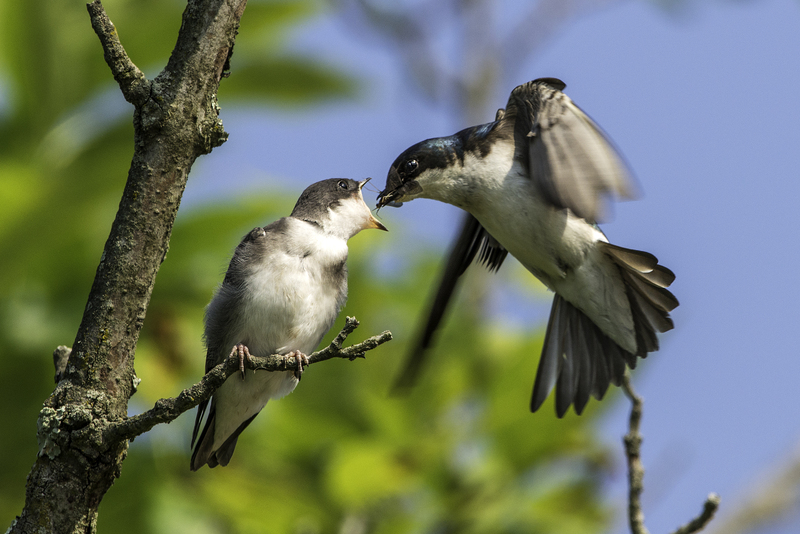 The following are several images of the juvenile swallow being fed insects. Click on the images to increase the size. In addition to photographing the swallows, I videoed the fledgling being fed by one of the adults. Click on the below image to start the video. I recommend watching it in HD mode and full screen. The sound you hear on the video is the river rushing below where I was standing. 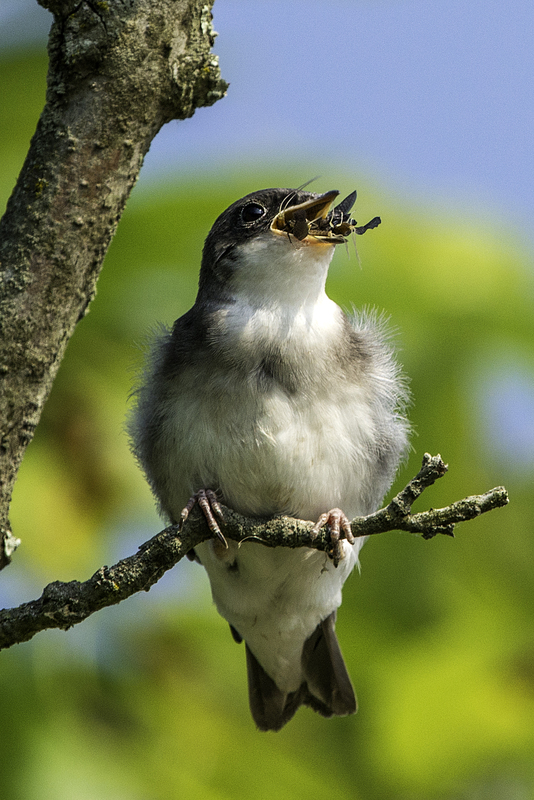 Finally, below is an image of the juvenile swallow just before finishing its insect breakfast. 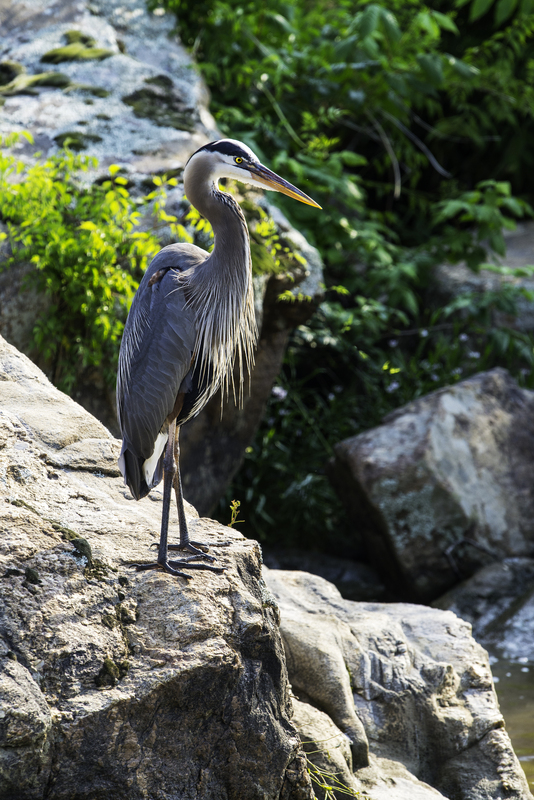 As I mentioned at the beginning of this article, my trip to the Rappahannock River was to photograph Great Blue Herons, so I am including a couple of those images below. 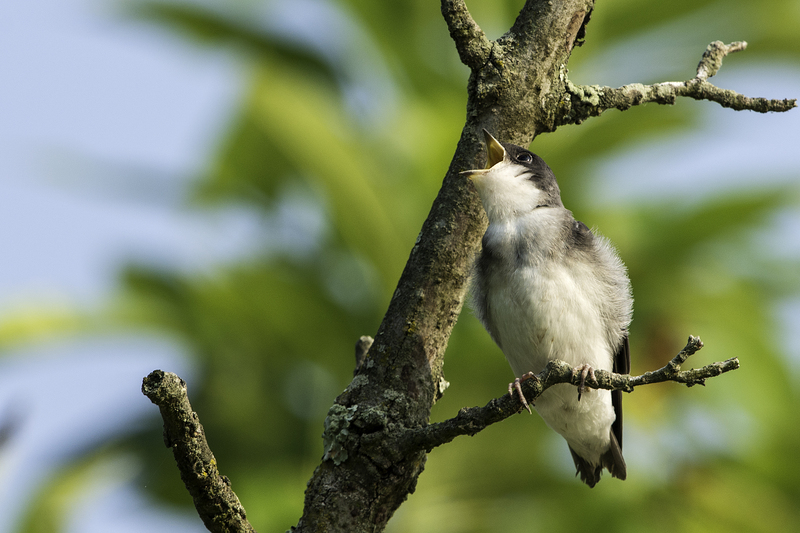 Although I was successful in photographing many herons, the highlight of the trip was definitely the Tree Swallow fledgling. One never knows what to expect when out in a natural, unspoiled environment full of wildlife and beautiful scenery. Later this week, I am planning to begin posting several articles with some of the images I took while in Florida in May at Merritt Island National Wildlife Refuge and Paynes Prairie Preserve State Park. This entry was posted in Bird Photographs, Nature and tagged great blue heron, Tree Swallow. Bookmark the permalink. Spectactular series of shots Stephen! Have you found the D800’s 4FPS to be sufficient? Thank you for your very positive feedback. I use the battery grip on the D800, and have found the frame rate to be sufficient. Sure I would like 11 FPS, but the D800 is an outstanding camera for a lot of other reasons. These are wonderful photos! I’m looking forward to seeing more, especially from Merritt Island. 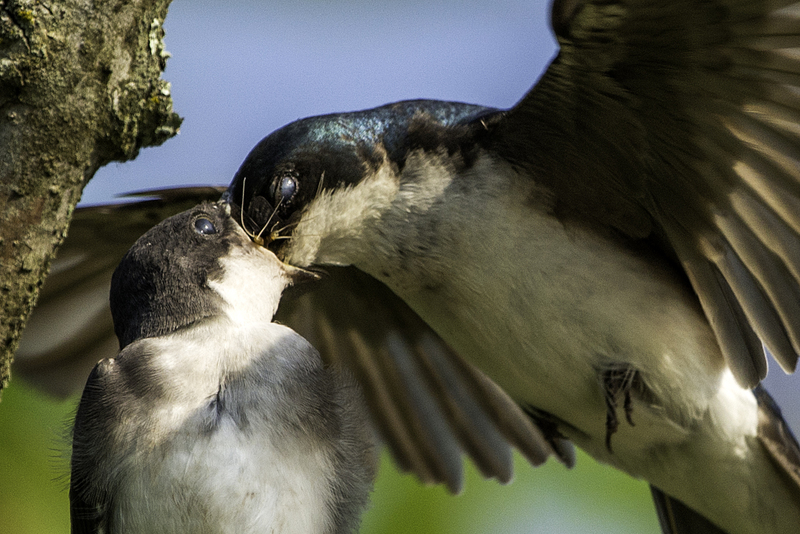 These photographs give us a small glimpse of “bird motherhood”; one that is rarely seen. It takes a great deal of patience and skill to produce such interesting photographs…..in beautiful colors. The colors really are amazing! Beautiful pictures of a beautiful part of nature! Thank you Donnie. Heading your way next week–spending a week just outside of Acadia National Park. Looking forward to the cool weather and beautiful landscapes. Steve, I think you had the right word for these images: AMAZING. Certainly one of your best wildlife series of images. It is really great when it all comes together like this! Thank you Ernie. Things did come together for me Saturday. You never know what to expect, that’s often half the fun and reward for getting up at 0415. How gorgeous the birds are! And how lucky they are to meet such a wonderful photographer! OMG the little chick didn’t bite off mother’s head! 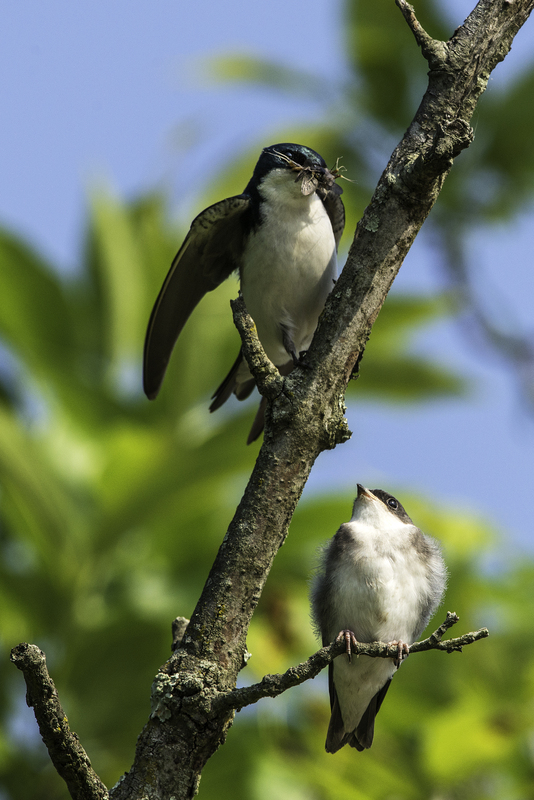 The Tree Swallow fledgling with insects full of mouth literally cracked me up! Thank you Ceasar–comments such as yours, and from another wildlife photographer, are much appreciated.